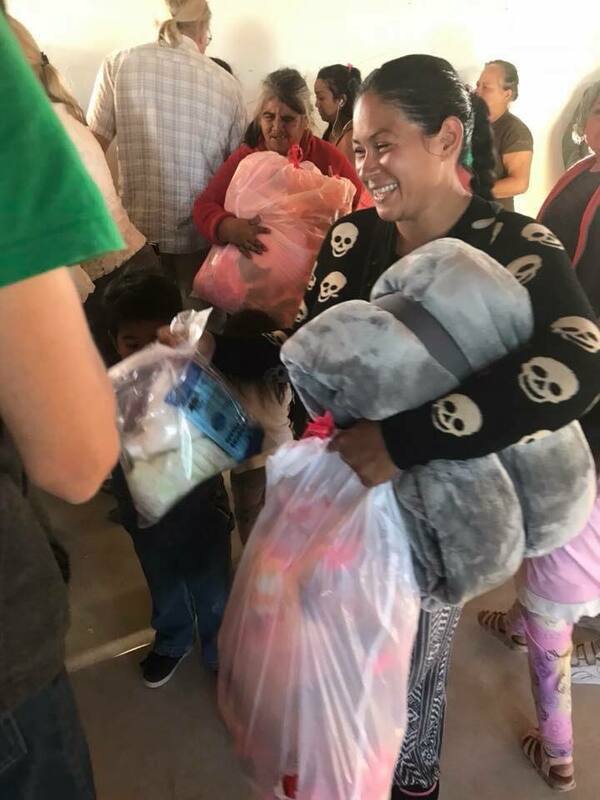 Sponsor meals and bring security to a family in Tijuana while forming a cross-cultural relationship. Despensas de Luz (groceries of light) is a program built to bring meals to a poverty-ridden community at our Faro de Luz community center. Not only does it focus on providing families with meals, but creating cross-cultural relationship between the American sponsor family and the counter-part Mexican family. Colonia El Ranchito has a huge problem with poverty, creating effects of malnutrition among the families. 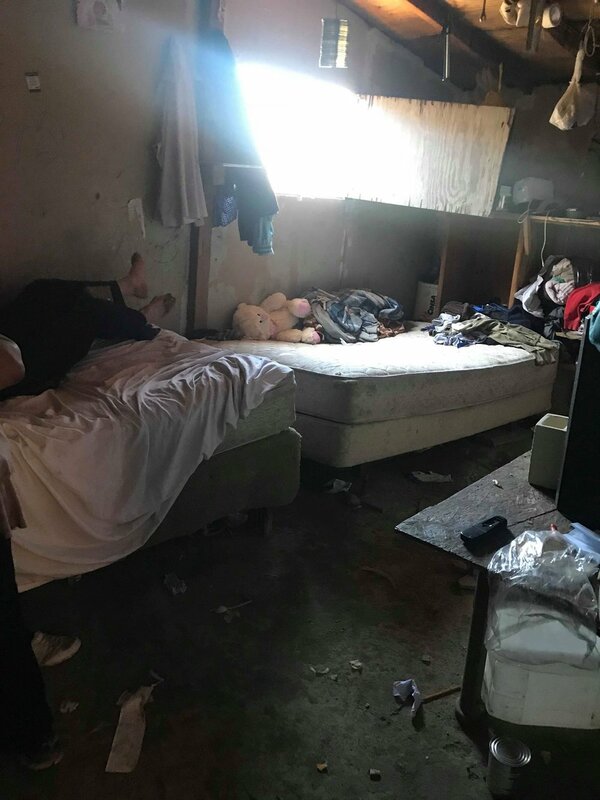 Additionally, there are high rates of drug addiction and abuse within this community, which Faro de Luz is currently lowering through counseling and weekly services and classes. As a way to help break the cycle, monthly groceries will lower levels of stress in the household and allow parents and children to focus on their future instead of worrying about how to get their next meal. Malnutrition causes dozens of physical and psychological effects that are significantly detrimental to children especially. Children who go to school hungry are not able to focus in their classes, making school more of a chore instead of a place to learn. If children go to school with a good breakfast in their system, they are more likely to pay attention and continue to learn. As part of our program, the grades of all of the children will be reviewed monthly to analyze the effects of the groceries on the child’s learning. It will also be a motivational factor for the children to study and work hard in school, automatically making their future brighter! We ask sponsors to make at least a 6 month commitment to ensure stability for families. Sponsors can either donate $25 by the 20th of every month or donate $150 and the Casas de Luz and Faro de Luz teams will manage the money accordingly. Each family will receive groceries on or by the 1st of every month, giving the team time to shop for groceries between the time of donation and distribution. Our thoughts behind a 6 month commitment is to ensure food stability in households but to not create a reliance. Some families will need further support beyond the 6 months. However, Faro de Luz will be working with the families during this time to take a step forward and to start working towards the future instead of worrying about the next meal. Every month Faro de Luz will review the grades of each student in the family to measure the success of the nutrition. This list of groceries is based on the diet of an average Mexican household. Quantities are maximized with the price to provide the families with as much food as possible on a $25 monthly budget. All families will receive the same pack of groceries every month. In addition to sponsoring groceries for a family, the other half of the Despensas de Luz program is the ability to form a cross-cultural relationship through pen-pal like communications. Families on the US side of the border are able to choose which family they would like to sponsor and create a pen-pal relationship with. Each sponsor family will be able to form a relationship and become part of a family in Mexico. Each month sponsors will be asked to send an update of their family, such as recent events, progress in school, etc. and photos. Their sponsored family will do the same and will be translated accordingly. In this way, families on both sides will learn about a completely different style of life and be able to notice differences and similarities that all families have in common. You never know what might bring you together! Sponsors are able to choose which family they would like to sponsor from the families listed below. More families will be posted as more sponsors choose their families. Please click the button below the family’s information which will take you to our contact page where you can send us a message saying that you would like to sponsor a particular family. Get to know our families and begin your relationship now! Yesenia has been living in this house on this land for 22 years. A few years ago she left to go to high school in Nayarit, Mexico. When she came back, she fell pregnant with Iván and decided to stay. Yesenia loves to sew, and sells embroidered napkins which she learned to do at the community center. José is a builder’s assistant and has started to replace rotting wood on their roof. 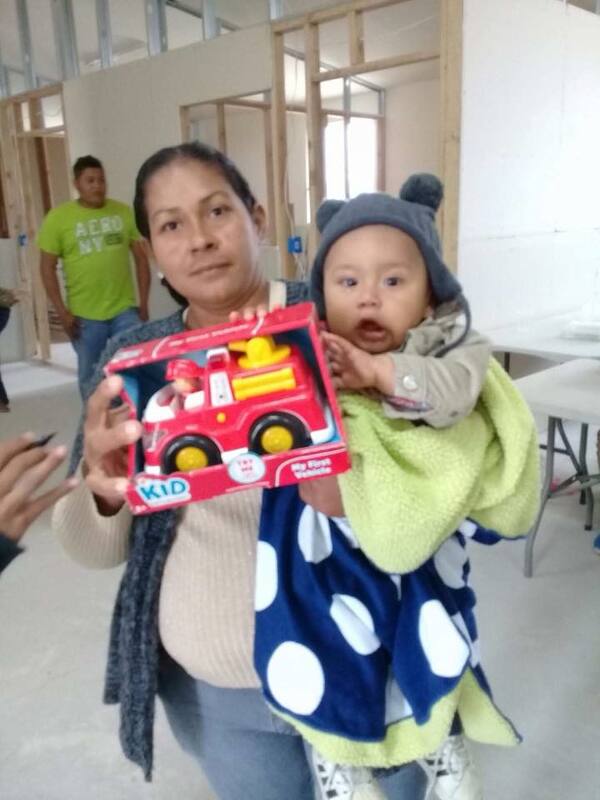 Little Iván is a baby who loves to eat, sleep, and cry but when he’s not doing one of those, he likes to play with his toys, especially his toy hammer. The land is currently in the name of Yesenia’s father who passed away, and she has not been able to get it in her name because of a lack of testimony. Their house has no windows, a dirt floor, and rotting wood that makes everything get wet when they rain. Veronica’s husband left the family 2 years ago, leaving her to take care of their family. She is a full time worker, so Johana takes care of her two younger siblings. 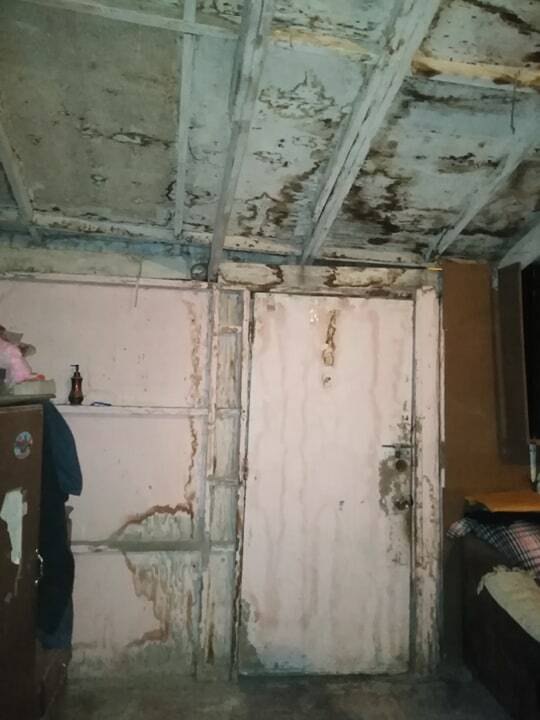 Their house is made out of scrap wood and has a dirt floor, and they’ve been living there for 11 years. All of the kids go to school and they love spending time with the other community members at Faro de Luz. Marfilio works as a bricklayer and earns around $75 a week while Manuel works at a fruit and vegetable market and earns around $65 a week. Alba stays home to take care of the kids and the house. Both Darwin and Miguel go to school and they love to play soccer in the park when they have time. They live in a house made of recycled wood and a dirt floor. They climb a high hill to attend the programs at Faro de Luz. Octavio works in a factory that makes crackers while Rut takes care of the kids and the house. Diana is in her sixth semester in high school and César is in first grade. When they are together as a family, they all like to watch TV and eat popcorn as well as read the Bible together. César likes to read story books and is excited to go to school and learn at Faro de Luz. Rut is an active member of Faro de Luz and is always enthusiastic to learn something new! Armando works in a factory while Marisol takes care of the kids and the house. 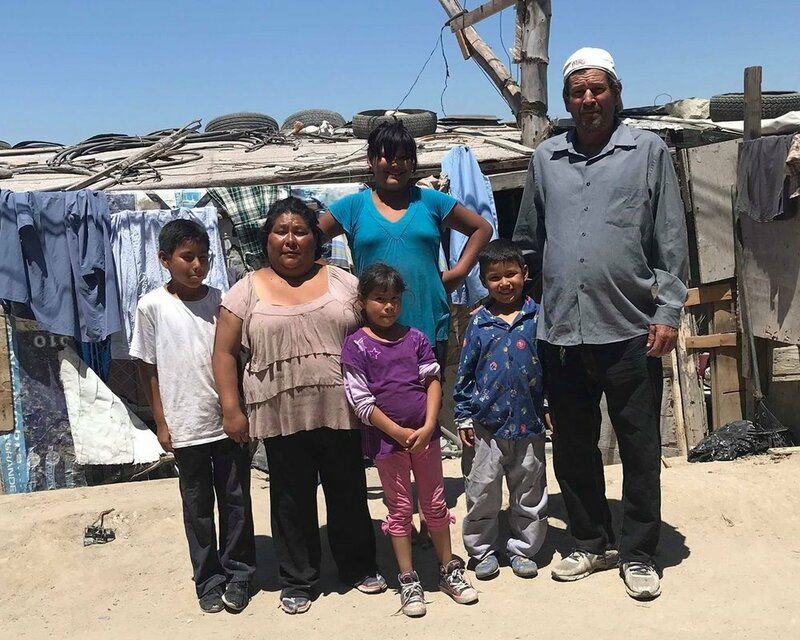 They live with Armando’s parents because they don’t have enough money to build a house on their land. It is hard for them not to have their own space and a place for their children. Dylan is 9 years old and goes to elementary school, and he loves taking care of his little sisters. The family loves spending time together, taking trips to the park, and talking! Agustín works as a security guard and Rigoberto works in a factory while Maria Luisa and Anabel, and Azucerva take care of the kids and the house. Odalís studies at university, Ashley is in her third year of secondary school, and Karla is in her second year of secondary school. They like spending time together as a family, especially after a hard 2 years of losing a son and and another one going missing. They also lost their grandfather and are new to Tijuana, hoping to lead a better life. Michelle is a bubbly little girl who love to play with dolls with her little sister. Michelle and her mischievous older brother, Jesús. Although shy at first, Sofía becomes a little bundle of energy and love and all of the girls at Faro de Luz love taking care of her.